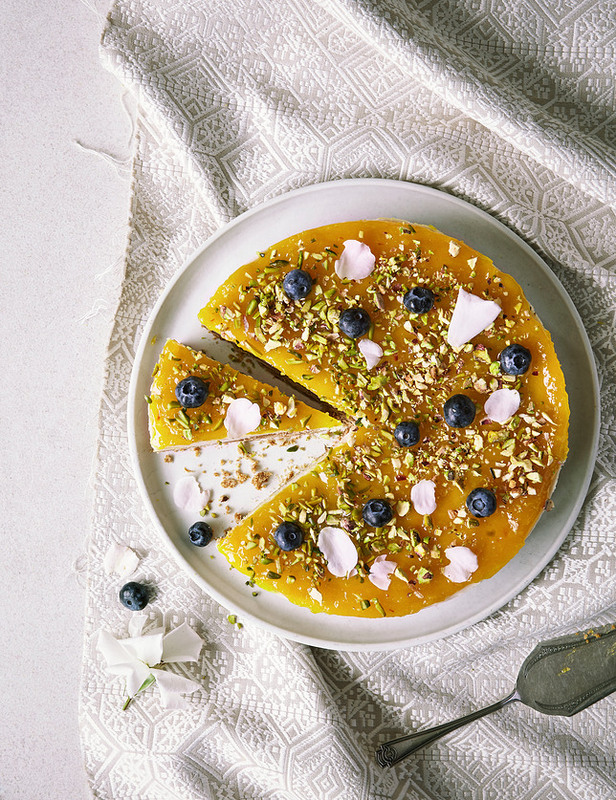 Mīra’s recipes have been featured in various publications, such as Stylist, Waitrose Magazine, Red Magazine and Women’s Health, and has also spoke on shows by the BBC. Her cooking blog, which reflects the spirit of Saffron Soul is as beautiful as the book itself. Saffron Soul encompasses the best recipes and ingredients in Indian cooking with healthier twists and options. Mīra gives you everything you need, from creative breakfast ideas, to snacks, to light lunches, side dishes, main meals, desserts and also thalis, which is a menu or meal made up entirely of curries, dals, rotis, rice, chutneys and snacks, pertaining to a particular region of the country. This interests me quite a bit. I just love it when I get to experiment with different dishes in one meal. It is a feast, perfect for when you have friends and family round for lunch or supper. No wonder this chapter is the one that caught my immediate attention making it an instant favourite. 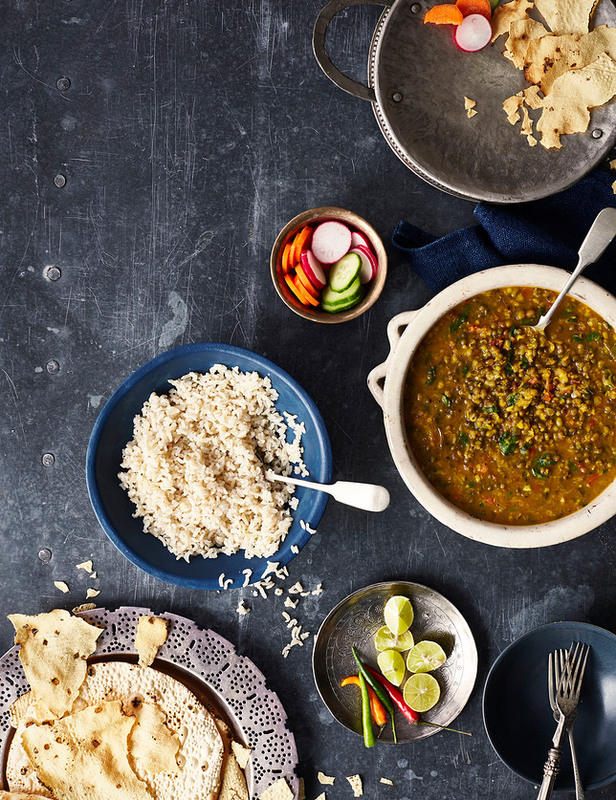 Mīra adds her own interpretation to traditional recipes, all vegetarian or vegan, using basic ingredients like lentils, vegetables, grains and plenty of spices. Every inch oozes goodness and freshness, making it so ideal for the coming hot summer months. 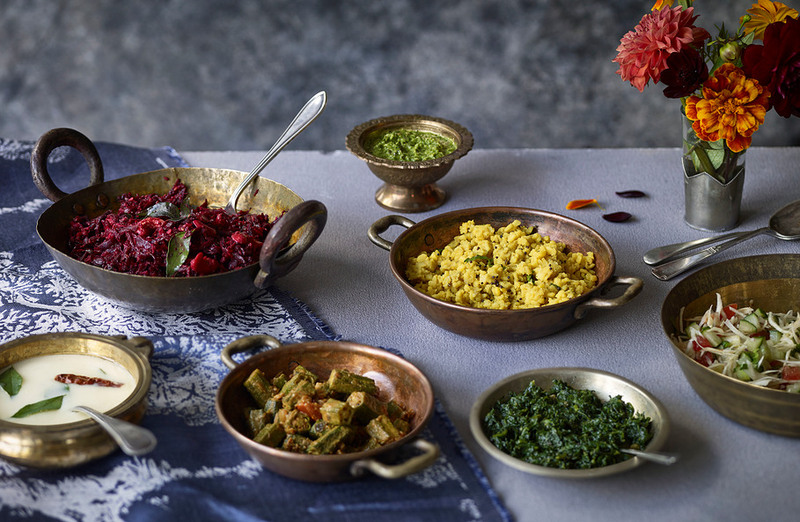 So none of the wholesomeness of Indian cooking will be missed with these recipes. Guaranteed. 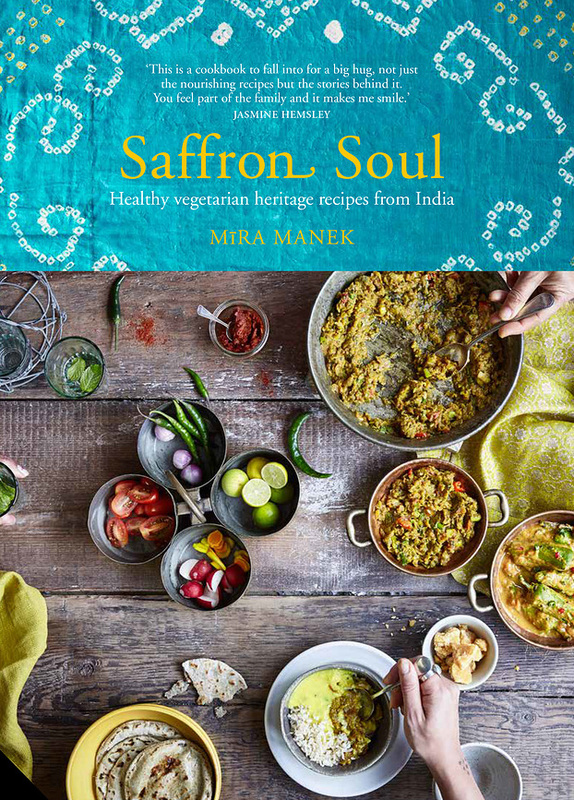 Saffron Soul: Healthy, vegetarian heritage recipes from India is published by Jacqui Small, part of Quarto Publishing Group UK. All photography copyright belongs to Jacqui Small, and all images in this review are used with permission by the publisher. Photographs of Mīra Manek, page 6 & page 192 are by Emily Overland Dudlyke and Ilaria Morelli respectively. Saffron Soul: Healthy, vegetarian heritage recipes from India was sent by the publisher for review. This is *not* a sponsored post.